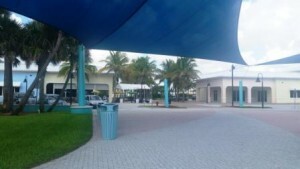 About half a mile south of Ocean Reef Park in Riviera Beach is where you find the newly renovated Riviera Beach Municipal Beach also known as Ocean Mall Beach. 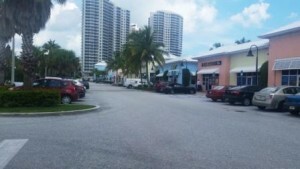 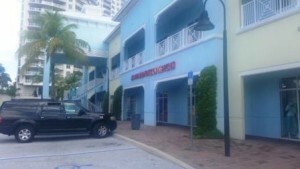 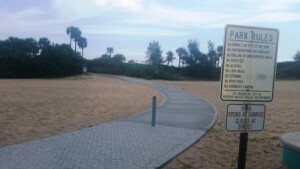 What’s great about this beach is the convenience of the mall within easy walking distance. 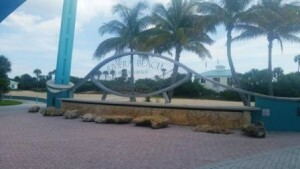 Stop by for lunch at one of the many restaurants with outdoor seating as well as beach apparel and souvenir shops. 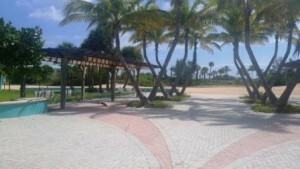 The well designed park has plenty of parking, public restrooms and picnic tables. 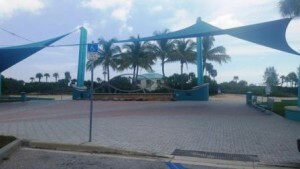 The 7 mile white sandy beach is part of Singer Island beach and is one of the very best in Palm Beach County for its sparkling clear water.